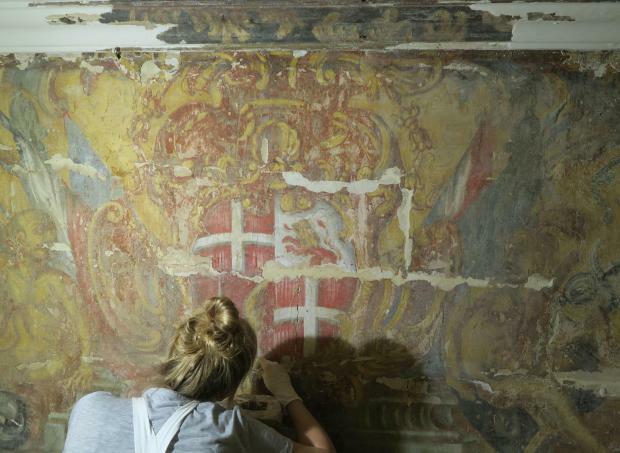 A crowdfunding campaign on local platform Zaar has been launched to support the professional conservation of the baroque wall paintings at the Chapel of Palazzo de La Salle in Valletta. Palazzo de La Salle was built in the late 16th century and was home to the Knights of the Order of St John for hundreds of years. It has been the seat of the Malta Society of Arts (MSA) since 1923, and is currently used by the MSA for arts education, exhibitions and performances. The little-known chapel inside the Palazzo is decorated with 1730s wall paintings, depicting the Coats of Arms of Fra Guillaume de La Salle, Grandmaster Manoel de Vilhena, and scenes from the Life of St John. The paintings are of great historical importance and among the few baroque wall paintings in Malta to survive within a domestic context. They survive in their original form, never having been restored or over-painted over the past decades. Such important paintings, however, have been long forgotten and they are currently virtually unknown to the public. 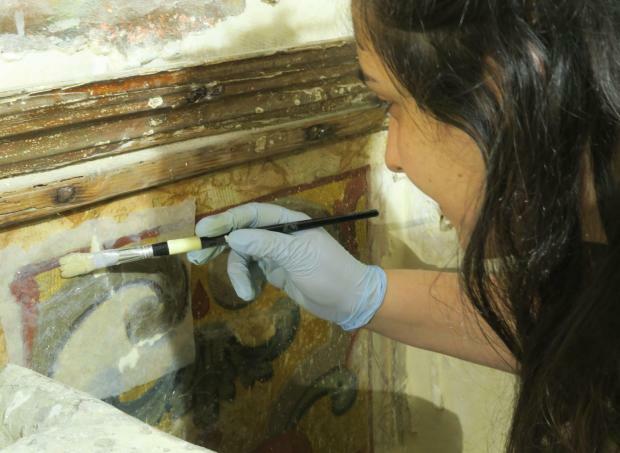 The conservation project of the wall paintings of the chapel was started in 2016 by the University of Malta’s Department of Conservation and Built Heritage team, composed of professional conservators and students. The department is now crowdfunding to complete the project. The final phase will include the cleaning and retouching of the paintings and is a crucial stage of the work, since it will return full legibility and aesthetic value to the paintings. This will require six months of full-time work of two recent professional graduates, under the continuing guidance of the professional departmental staff, after which the paintings will be presented to the public. The chapel will then house exhibitions, showcasing the work of the department and its sponsors. Through the crowdfunding campaign, everyone can contribute to bring the project to life. The department estimates that to complete the project, €25,000 are required over a six-month period, to fund both the human and material resources necessary. Beyond helping to safeguard such a significant piece of Malta’s art heritage, any sponsors of the project’s crowdfunding campaign will receive a reward, dependent on the amount donated.